At times, the world in which we live seems filled with an overwhelming sense of brokenness. War, tragedy, poverty, and corruption are no longer shocking. They seem almost commonplace. For some people, brokenness is personal. The hardships of one’s life circumstances seem inescapable. Combined with the darkness of the world around them, this can cause deep feelings of despair. But, despite the imminent threat of trouble, there is a Light that will not fail to overcome even the deepest darkness. The Gospel of John boldly proclaims, “The light shines in the darkness, and the darkness has not overcome it” (John 1:5). We need the light because we live in the shadow of our broken selves. Darkness is both around us and within us. We’re often quick to point out darkness in the world, but slow to find it in ourselves. It’s tempting to treat darkness as a social phenomenon, one that detectives and politicians must solve, or that family brings into our homes. It’s easier to see the darkness around us instead of inside us. But the darkness lurks in us all. It’s why a seemingly good family man can fall. Why pastors suffer depression and politicians play cover up. The darkness doesn’t respect position. And so, we need a light with a capital “L.” Light exposes and warms. 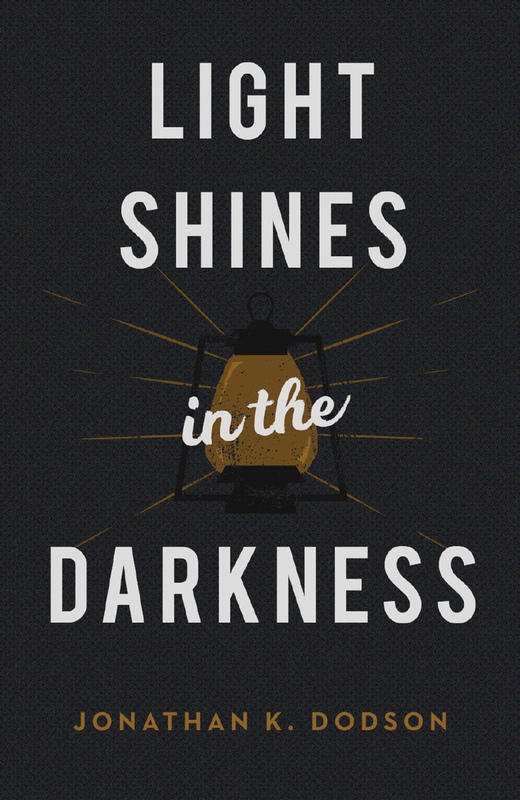 The light of Christ exposes our darkness, revealing we all possess a sinful capacity to make the headlines. And if we think we don’t, we’re even more deluded than we know. But there is a Light, the true Light, and he has broken into this world to save those who will receive him. To live in the light of Jesus Christ, we have to first admit our inner darkness. We have to emerge from the shadows. John writes: “Whoever says he is in the light and hates his brother is still in darkness” (1 John 2:9). You see, we can’t be the light and harbor hatred toward others, no matter what their political position, racial background, or even their moral failures. We might think, “I’m not a hater,” but Jesus says those who insult others express hatred deserving of hellfire (Matthew 5:21–22). Why does Jesus take such a hard line on hate? Because it’s demeaning people made by the Light. It’s harboring self-righteousness as we peer down on others. It’s refusing to forgive fellow strugglers or hang out with that family member smugly thinking, “I’d never make the mistakes you’ve made.” It’s abstaining from the reconciliation that Jesus died to extend. The darkness inside you and me contributes to the trouble of the world. How do we get into the warmth of the light? We have to be bathed in it; tiptoeing won’t do. “If we walk in the light, as he is in the light, we have fellowship with one another, and the blood of Jesus [God’s] Son cleanses us from all sin” (1 John 1:7). Walking in the light isn’t just being good. In fact, we are incapable of anything truly good apart from Jesus. Walking in the light means bringing our darkness to Jesus over and over, and to one another, to experience his cleansing, purifying light. Is there something you need to confess to him? Where are you harboring darkness? Where do you need to let the light in? When my daughter was sick and confined to the house for a week, we decided to go outside together. When we did, she said, “Daddy the light hurts.” I told her, “That’s because you’ve been in the dark so long. Once you get used to it, you’ll see it’s a beautiful day.” Coming out of the darkness can be painful, but once we do it, the light can cleanse us. The Word [Jesus] became flesh, a package of light inside of Mary, stepped out into the world, and suffered under a cloud of judgment at the cross, so we could experience the cleansing joy of the light. This should provoke wonder. Jesus, knowing everything he knows about you and me, says, Let me do it. Let me die in their place to triumph over their darkness and bathe them in the light. Thank God that the eternal Word didn’t remain behind eternity, but sank down into the womb of Mary, and suffered the sorrows of humanity to shine his light into our darkness. And you know what, the darkness did not overcome it. God’s creation needed the Light of Jesus to overthrow the darkness. And he did. By being snuffed out on the cross and raised in resurrection glory, Jesus secured a glorious future and a purified present for those who have received him as their Savior from their own darkness. Those who walk in the light now will walk in Jesus’s final triumph over darkness, when there will be no need for a sun or moon because his glory illumines his city forever (Revelation 21:23). It’s coming. Immerse, confess, and believe. Don’t just dip your toe; dive headfirst into the wonder of the Light of the world. Heavenly Father, I believe that Jesus Christ is the Light of the world, and that he died on the cross to save me from the darkness of my sin. I believe that he rose again to life, and that he invites me to live forever with him as part of your family. Because of what Jesus has done, I ask you to forgive me of my sin and give me eternal life. Help me to live in a way that pleases and honors you. Amen.